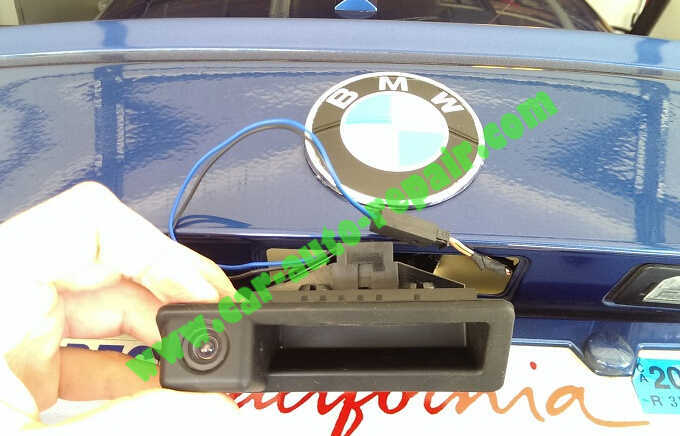 This article show a guide on how to install and coding for BMW OEM backup camera.In the European,your vehicle model have the option for a factory installed backup camera,but BMW believe it is not worth enough for other place. ANY camera will work! 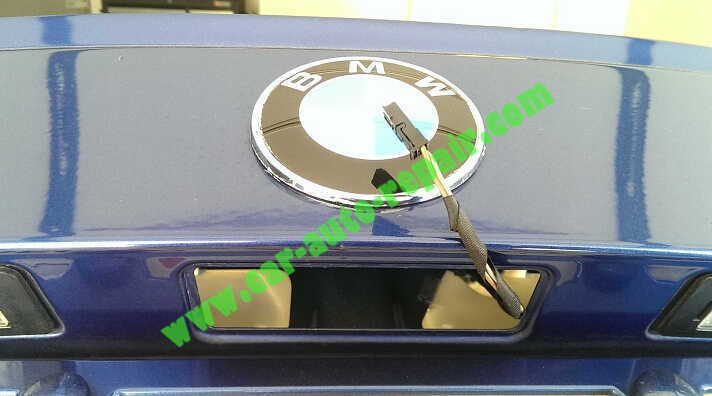 But if you want it to look OEM then I recommend getting one that is integrated into the trunk handle. They can be found on Amazon for around $24. 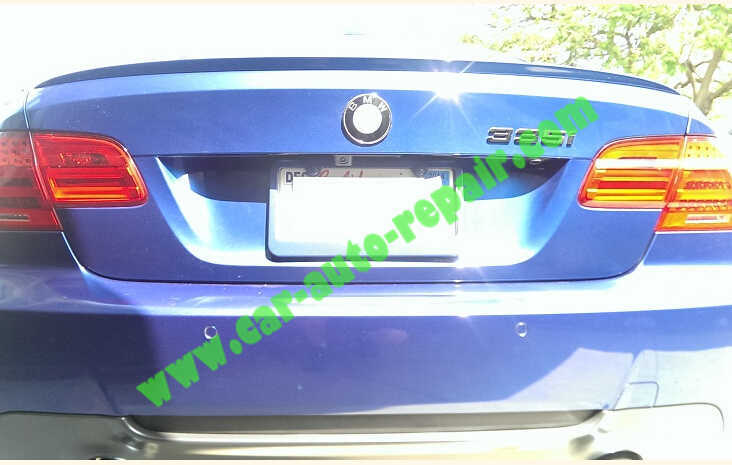 If you’re on a budget, there is also one that is integrated into the license plate light for about half the cost. 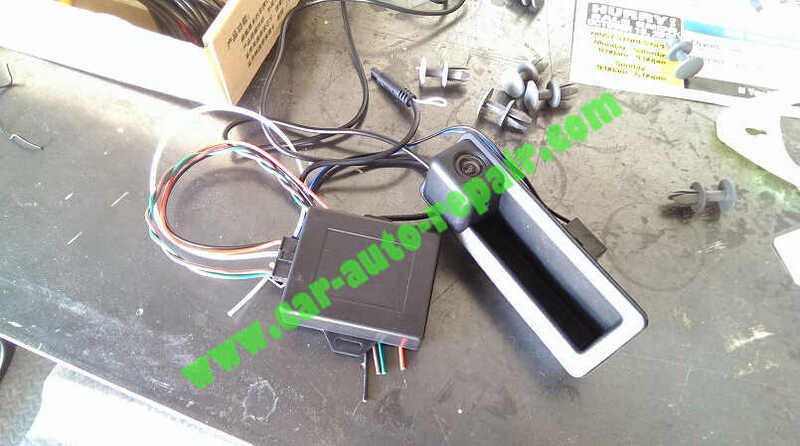 This taps into the cars CANBUS system and fools the navi into thinking that you actually have the required oem hardware. This can also be found on ebay for around $58. This part not as difficult as it sounds. You’ll need to borrow or buy a K-DCAN cable and download a copy of NCS-EXPERT. There is even a software app that another vendor made which will code the CIC module in one mouse click. I will show you how do it without that app because I’m sure they wouldn’t appreciate people using it without buying their $500 kit. Open box. You can see both the camera/trunk handle and the emulator module here. The ebay seller I purchased from was able to get my package delivered in 4 days with the standard free shipping. Pretty amazing! 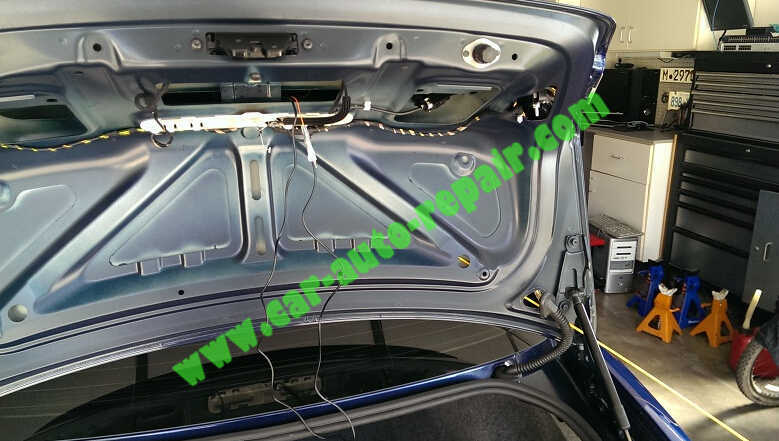 Remove trunk liner using a flat head screw driver. 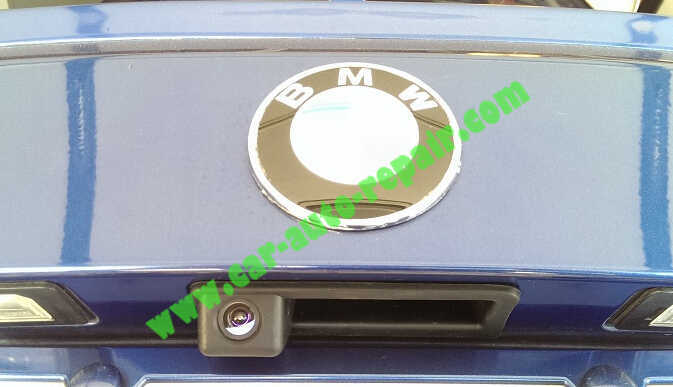 Uninstall existing trunk handle and insert new camera/handle. Fish the wires down one of the support columns underneath the trunk lid. Make sure that whatever camera you get has the micro a/v and power connector. 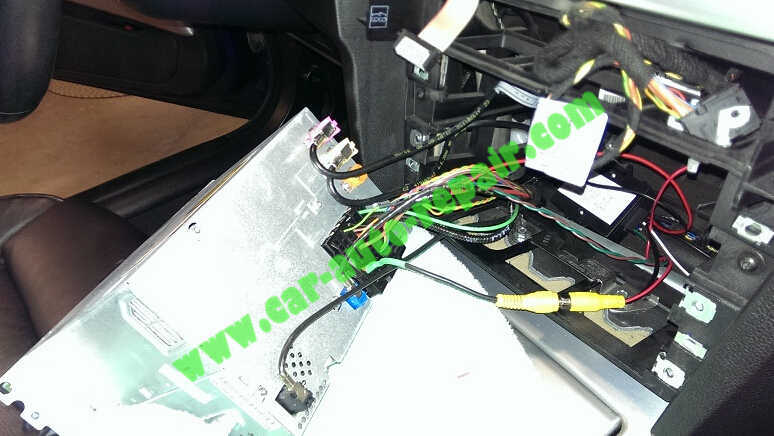 Otherwise you’ll never be able to get the connectors through the oem flex tube. Even with the micro connector, it required me to use a pull string with lots of dish soap as a lubricant and about three attempts before I was victorious. Route the wire from the trunk to behind the dash. I didn’t bother taking pictures of this because it’s very easy to tuck the wire under the rear seat and passenger door seal. You could also tuck it behind the center console. Doesn’t really matter how you get the little cable to the navi. 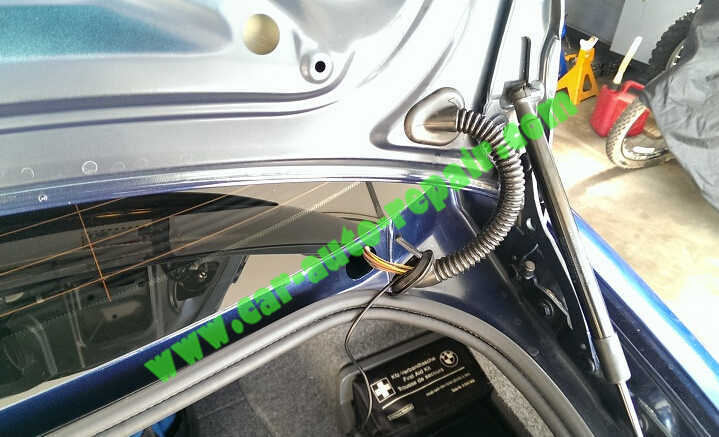 Pop out the navi and splice into 4 wires. The colors all match up. Attach the brown and green from the emulator to the brown and green on the navi harness (this is the CANBUS interface). Do the same the red and black (power wires). Lastly. the WHITE wire from the emulator is used to power the camera. So attach that to the cameras RED wire. 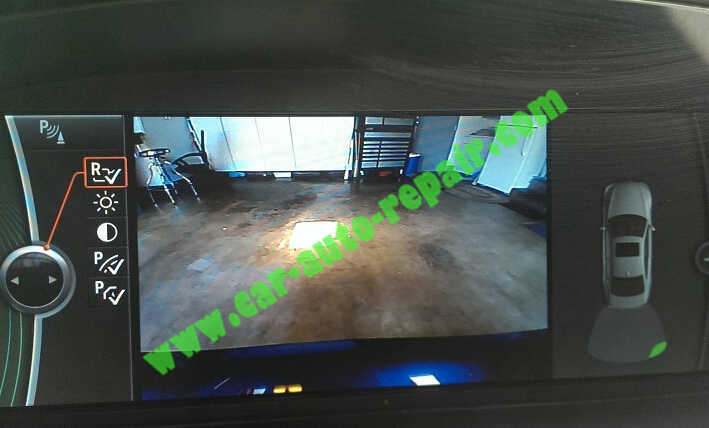 You’ll need to ground the camera at the trunk. The kit will come with a bare RCA cable that will to be attached to pins 21(+) and 24(-) on the back of the navi unit itself. They just slide on, nothing tricky. I used some shrink tube for protection. I have had a couple installs where the emulator would lag a few seconds when shifting into reverse. 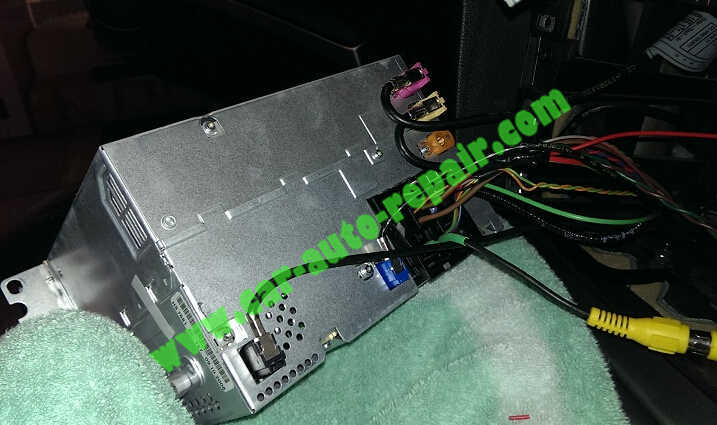 I have found that this is because the CAN wires going to the emulator and to the radio are not twisted together tightly. If your video takes a second or two to appear after you select reverse, check your CAN wires.